I will make mistakes. I will take wrong turns. I will do things I shouldn't do or in ways I should not do them. I will do all of these things, but I am not afraid of being wrong because I am learning. 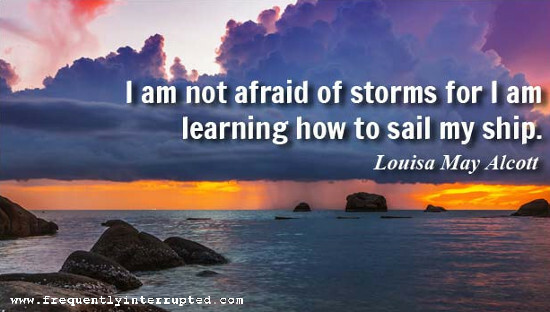 I am learning to sail me ship. I am learning to live my life. I am learning to be me. You know what? We never stop learning, so I will only have less reason to be afraid as we go along.